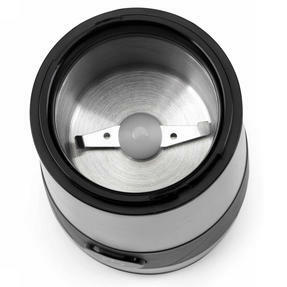 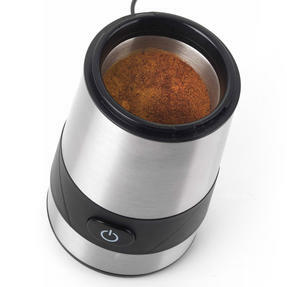 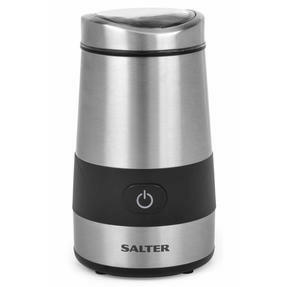 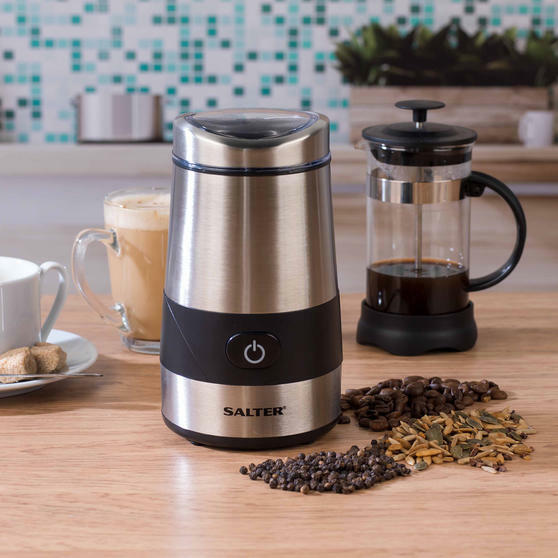 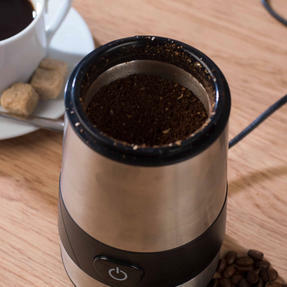 This versatile home grinding unit from Salter is ideal for use with coffee, nuts and spices of all varieties. 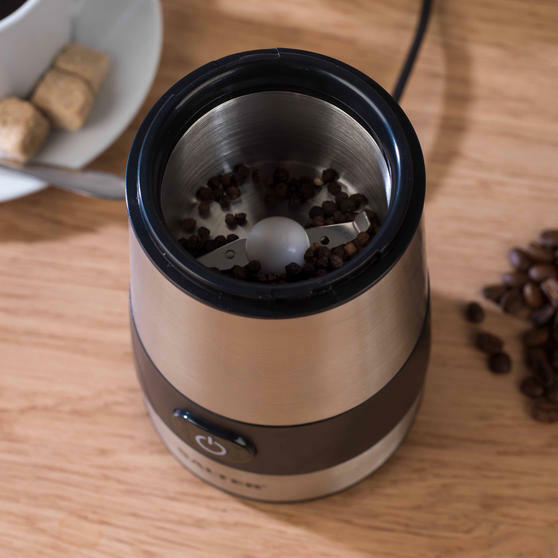 Equipped with a see-through lid for added convenience, the grinder is ready to go at the touch of a button and is fitted with a 60 g capacity bowl so you can refine large quantities at once. 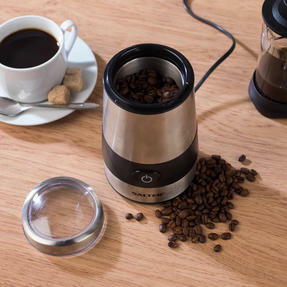 The powerful 200 W unit features a heavy-duty stainless steel blade for unrivalled grinding performance, while its durable metal exterior is designed for superior wear and scratch resistance. 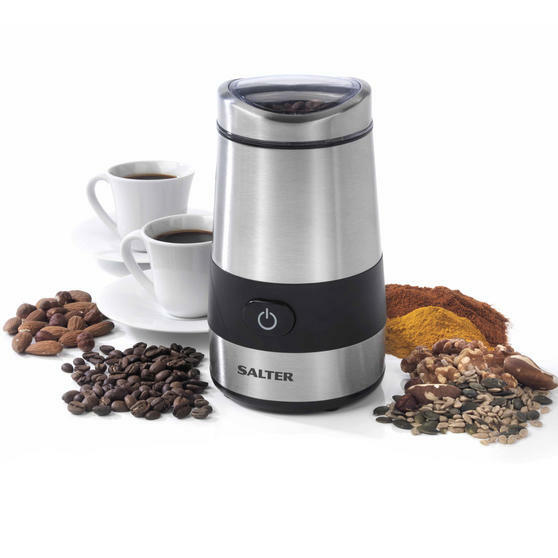 Effortlessly grind coffee, nuts and spices in the comfort of your own kitchen with this compact, high-performance Salter grinder. The 200 W unit features a robust stainless steel blade, bowl and housing for optimum grinding power and excellent wear resistance. 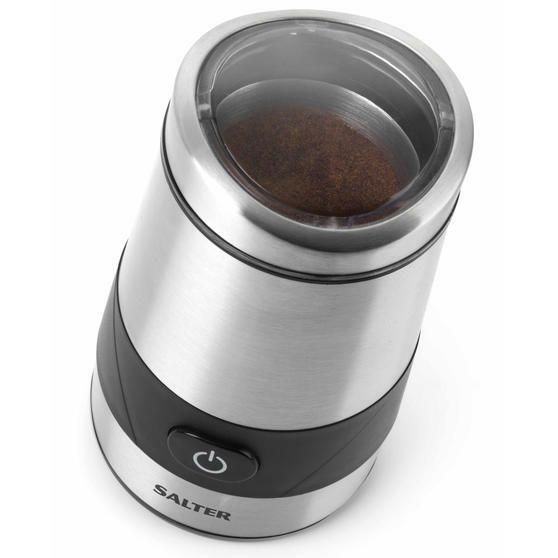 Boasting a generous 60 g capacity, the user-friendly grinder is turned on and off with a single button for hassle-free operation. It also has a transparent lid so that you can watch your ingredients being ground to achieve your perfect consistency every time.